As Quebec’s third-largest city, Laval was long overdue for a large-scale sports venue to support its booming population. 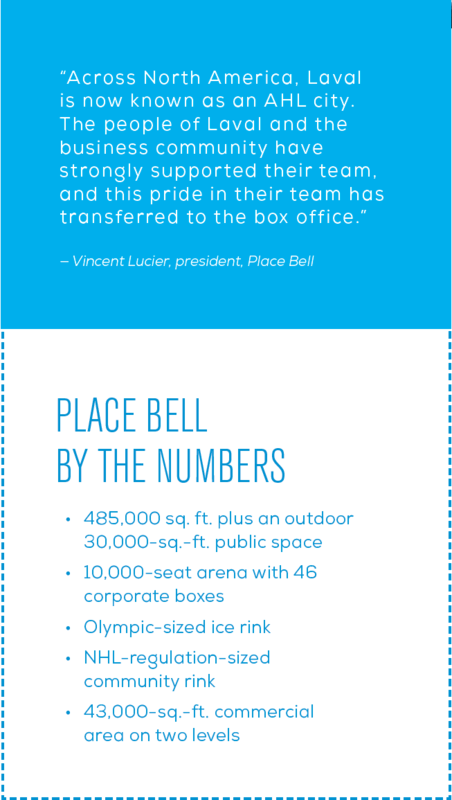 Last September, they finally got one: PlaceBell, a multifunctional cultural and sports complex, is also home to an American Hockey League team, the Laval Rocket, owned by the Montreal Canadiens. The city is also building a $58-million aquatic centre, slated to open in time to host the nine-day Jeux de Québec in late July 2020, when Laval will welcome 3,700 athletes from 19 regions across Quebec. “Our population has nearly doubled in 30 years, so we really needed infrastructure for both ice and water sports,” says Christiane Hémond, general manager of La Cité de la culture et du sport de Laval, a not-for-profit organization that operates the facility. To support Laval’s sport tourism strategy, the facility had to function equally well for both high-level athletes and community sports, and be able to accommodate large-scale competitions, adds Hémond. The three ice surfaces are state-of-the art and multi-purpose: the 10,000-seat professional rink used by the Laval Rocket can be converted into a performance space. Because the Rocket only play 40 home games plus the playoffs, the Canadiens-owned promoter, Evenko, plans to bring up to 50 concerts a year to the venue. The 2,500-seat Olympic-sized rink doubles as a training site for elite speed skaters and figure skaters, while the 500-seat community rink is reserved for local hockey and ringette games, practices, lessons and open skating. Floors can be laid for basketball or other sports. Although final numbers aren’t in yet, Place Bell came in on time and just under its $200-million budget. And the investment is already paying off, says Geneviève Roy, president and CEO of Tourisme Laval. The city gets 1.7 million tourists visiting each year, and now business is booming. In mid-January, Place Bell hosted the Laval Synchro Invitation, a provincial synchronized skating competition, right before a sold-out Rocket game. Large competitions are on the books for 2018, including Skate Canada International in October. 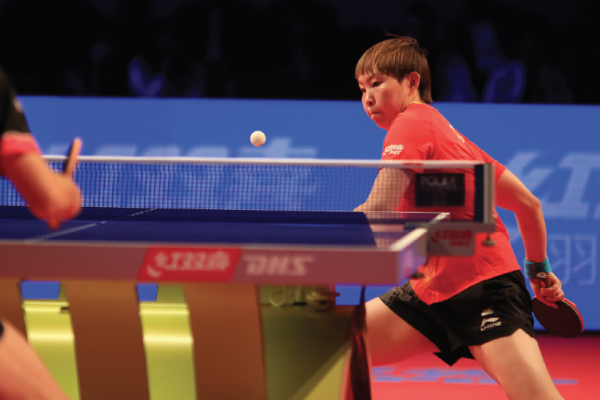 Tourisme Laval is banking that its new branding image—Laval SportCité—will continue to boost the city’s economic development.